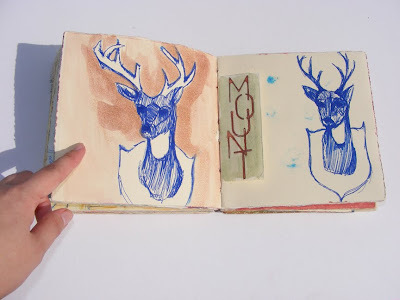 This is one of my favorite sketchbooks. I hand bound the book and filled it up while in college, around 2004 or so. 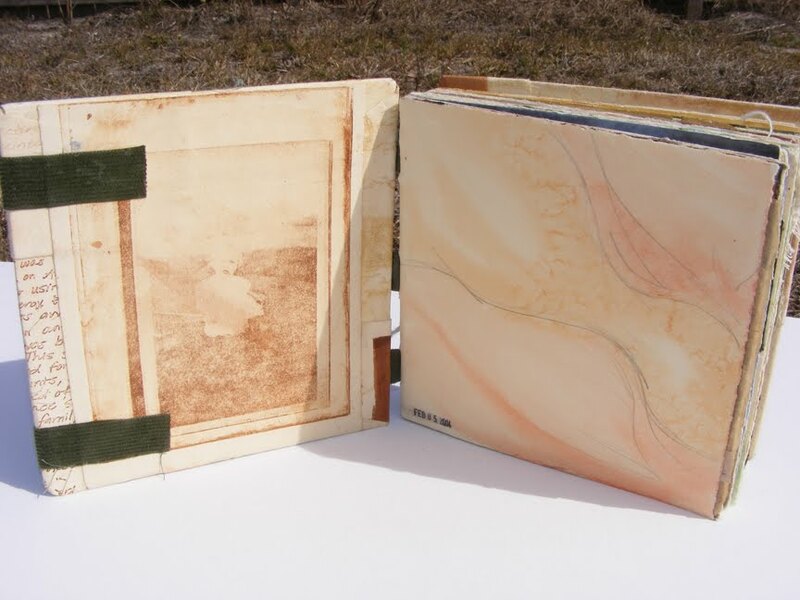 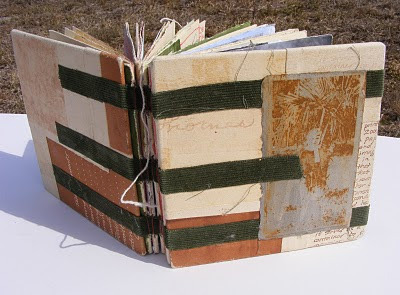 I did a binding onto tapes using old fabric scraps and bound the book up using pages from vintage books, printmaking paper, tracing paper, and other random stuff. 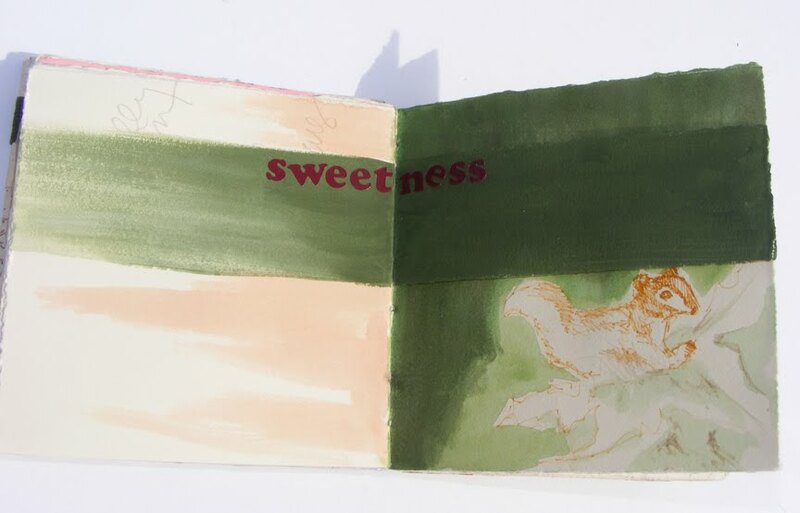 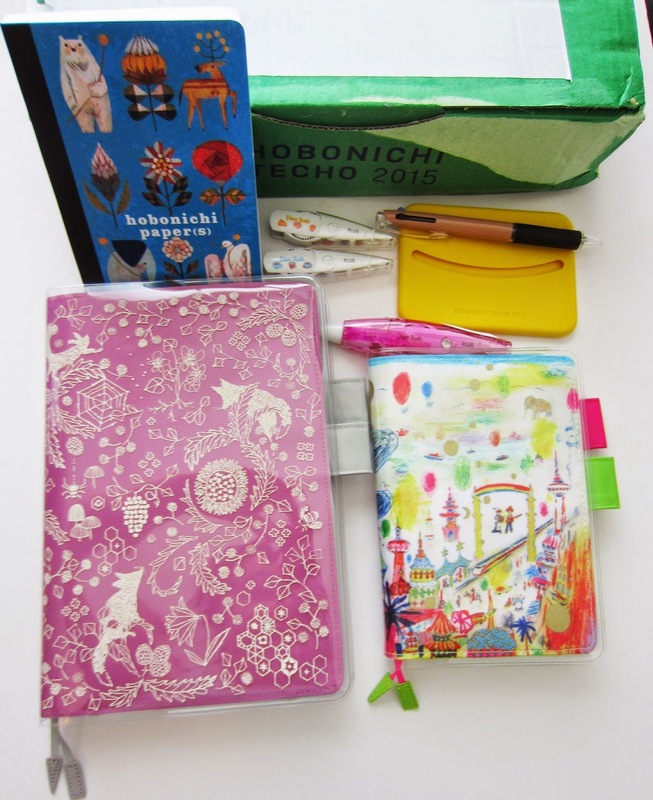 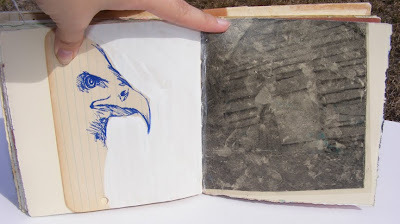 I think it was the first book that I made where I used different types of things to fill it. 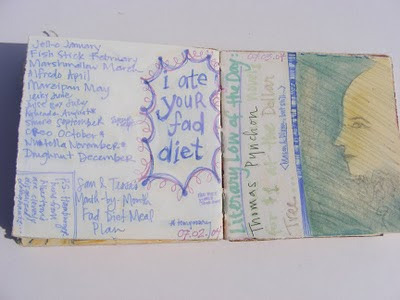 It was so much fun to make, and I love looking through it these days! 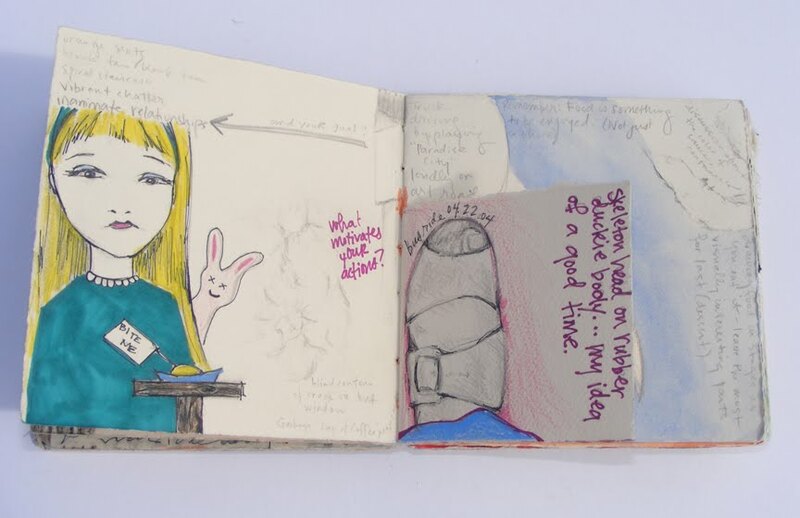 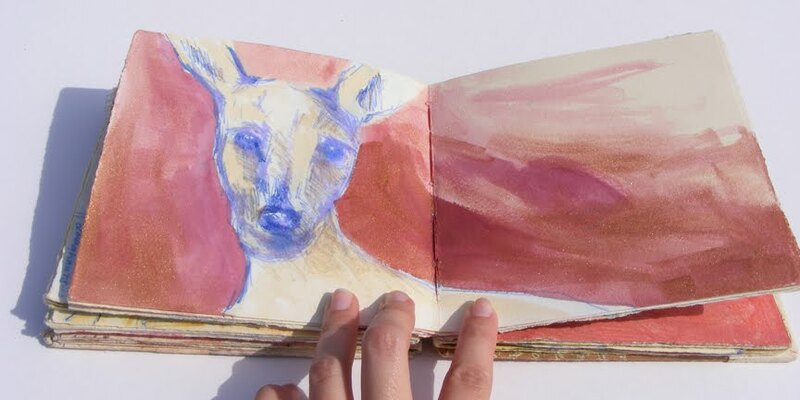 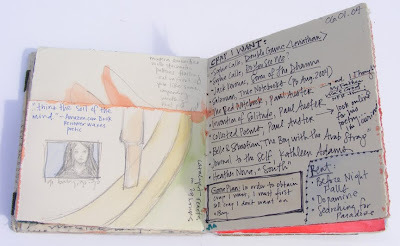 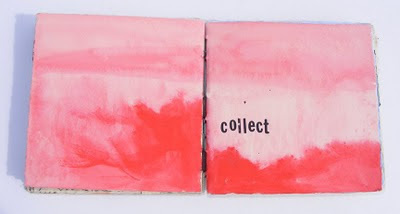 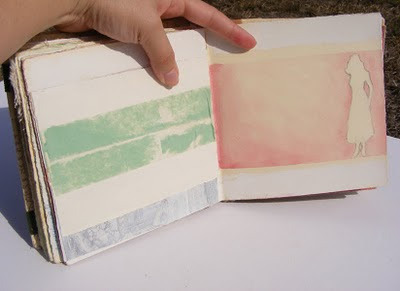 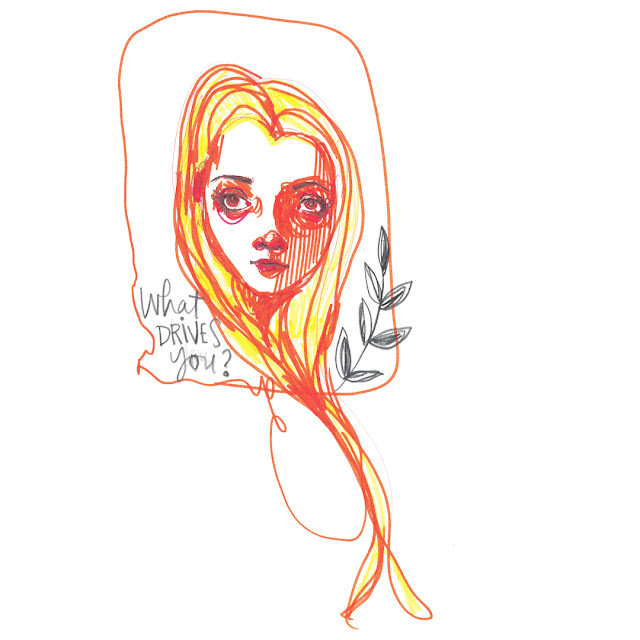 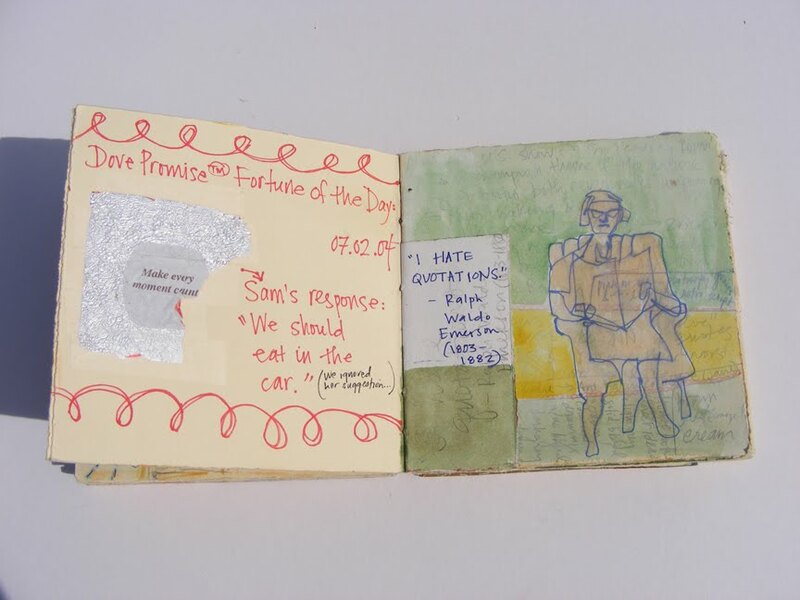 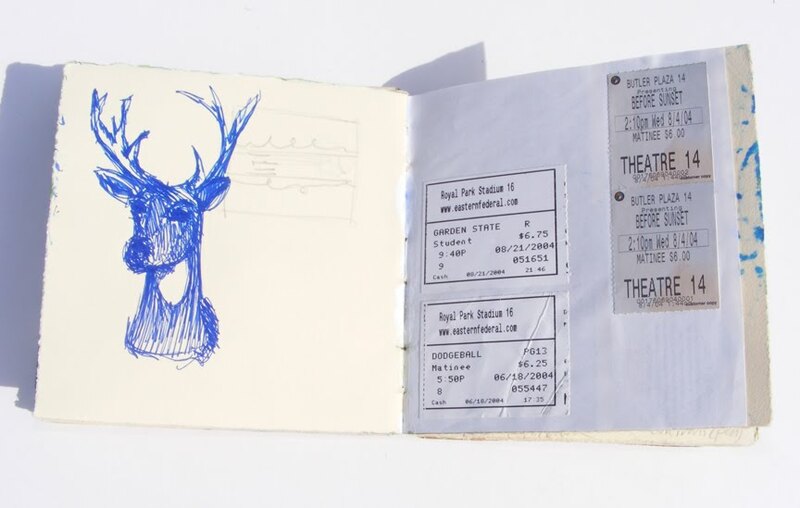 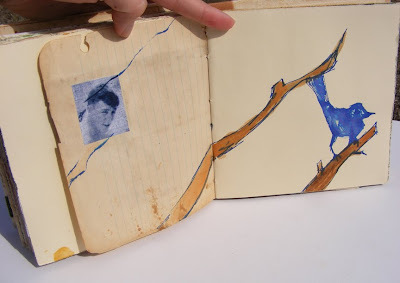 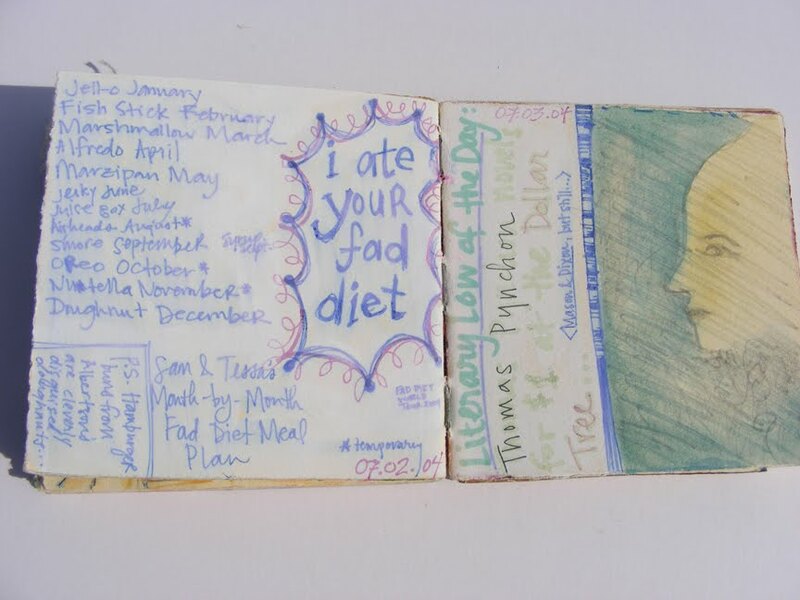 I love peeking into an artist's journal!